Dexter High School players are pictured during a game in 2016. The Tigers used stingy defense to shut out Washington Academy of East Machias 29-0 on Saturday afternoon. 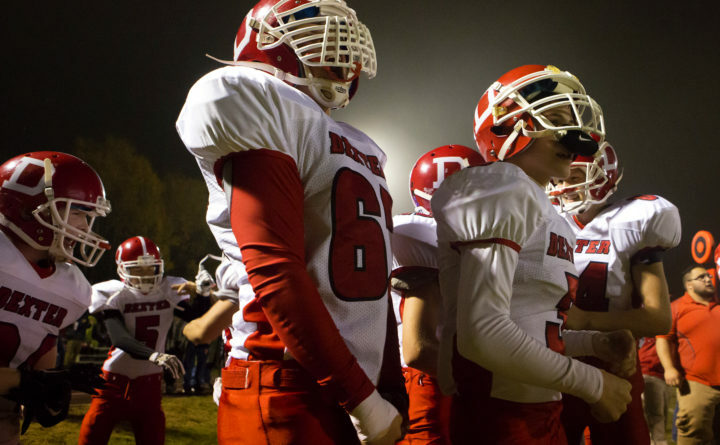 DEXTER, Maine — High school football has followed the path of the professional and collegiate versions of the game, with wide-open offenses that spread out the defenses now often more the norm than the exception these days. But the Dexter Tigers showed Saturday afternoon that the basics of the game — blocking and tackling — remain just as important to success during their 29-0 LTC Class D victory over Washington Academy of East Machias at Tiger Field.